What it’s about: Oh, this book is so sad! It’s so, so sad! I’ve been just so depressed for the past week, but also desperate to finish this heartbreaking but beautiful book. Because it’s that achy awesome kind of sad, the kind that makes you really appreciate things like comfy sweats and chocolate chip cookies and puppies. I’ve been meaning to read Room for a while, and I’m glad I finally got around to it. Yes, it was sad, but it was also wonderfully written, insightful, and almost lyrical in its journey inside the mind of a singular five year old boy. Jack’s whole world is Room. He was born there and he spends every waking moment there with Ma. There’s only one other person, Old Nick, who comes to Room, and Jack’s not even quite sure he’s real. He brings them food and takes away the trash and he’s the bearer of Sundaytreat, which might be new pants or even chocolate. Jack thinks Old Nick might be like the TV people, like Dora the Explorer or Spongebob–not real like Jack and Ma. After all, there’s nothing outside Door except Outer Space, that and God’s yellow face looking down through Skylight. What Jack doesn’t know is that he and Ma are prisoners in Room. Ma was kidnapped by Old Nick seven years ago and she suffered alone for two years, dreading his nightly visits and losing the will to live–until Jack came along. Now Jack has given Ma a reason to survive and she’ll do anything to keep him safe and, most importantly, get him out of Room. For Jack, learning about the larger world is a brutal awakening, but he also trusts in Ma and is curious to finally know what is Real. The Ties That Bind: The central relationship in the book is between Jack and Ma, and though we view everything through Jack’s eyes, it’s possible to explore Ma’s state of mind and character through Jack’s prescient observations. Ma has had to become a mother without the advice of another woman, without the aid of the internet or books, without consultation with a doctor. She’s had to decide for herself what is good for her son, what he needs, how to protect him, how to teach him, and how to raise him. This is at once a frightening but empowering idea. Ma does the best she can for her son, but also comes to depend on him just as much as he looks to her. Jack is her reason for surviving. It seemed obvious to me that without Jack, Ma would have long ago ended her life. She always has the means, in the form of the painkillers she uses to control her throbbing, decaying teeth. But Jack gives her a reason to go on. She latches on to him like a lifeboat, using him to buoy her up when the prison walls get too tight. Their dependence is even more interesting in the second half of the book, when a whole new world opens for them both and they are forced to think about a world that’s bigger than the confines of Room. Would I recommend? Definitely. Though you might think that Room would be a difficult or painful read, I flew through it. Jack’s voice softens the blow of their confinement and lends hope and innocence to the story. 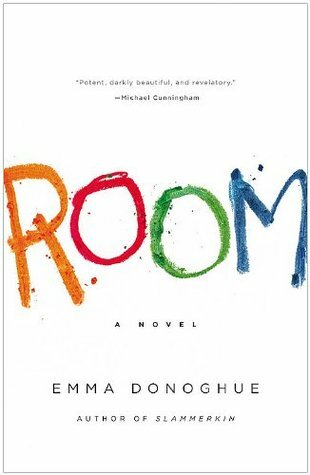 What I took from Room was an exploration of what it means to be human and how we each shape our worlds and adjust our lives to fill the space we have.